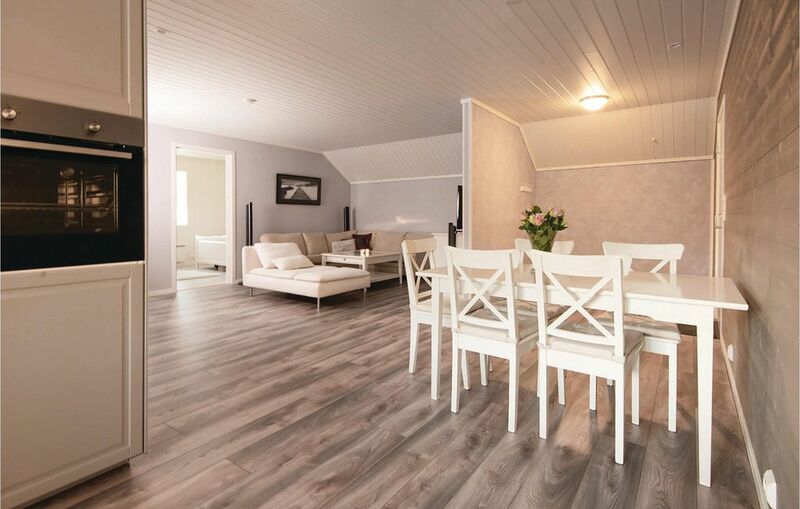 Pretty apartment in a good location overlooking Åsrumvannet. The apartment is on the top floor of a barn. There is a photo studio, but which is spatially separated from the apartment. To Sandefjord and Larvik there are only 15 minutes, both places can easily be reached by Sweden and Denmark. Between the apartment and the water is a way to cross it and you are in a area with nice outdoor furniture. The surrounding area offers beautiful walks, fishing waters and hunting grounds. A well-known winter cross-country ski area is just 10 minutes away by car.